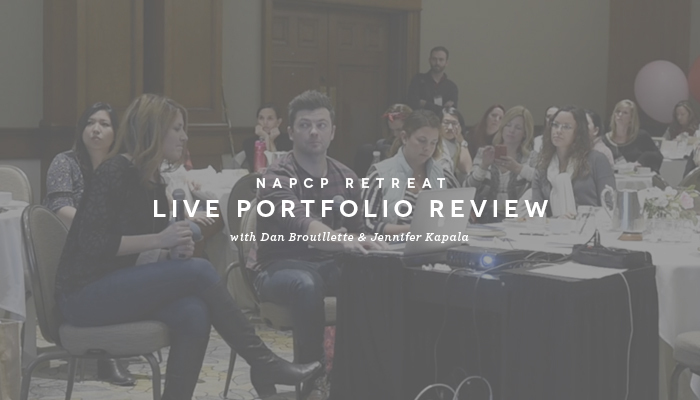 Today we have a special treat for you — a video of the Live Portfolio Review, hosted by Dan Brouillette, and 2014 Photographer of the Year Jennifer Kapala, from the NAPCP Retreat. This video has wonderful tips for submitting your images in the January 2016 International Image Competition (open now!, and ending February 18th). Submit your most striking work now; we encourage you not to wait until the last minute. Log in to NAPCP’s member-exclusive Video Resources page with your NAPCP credentials to view this fantastic resource!